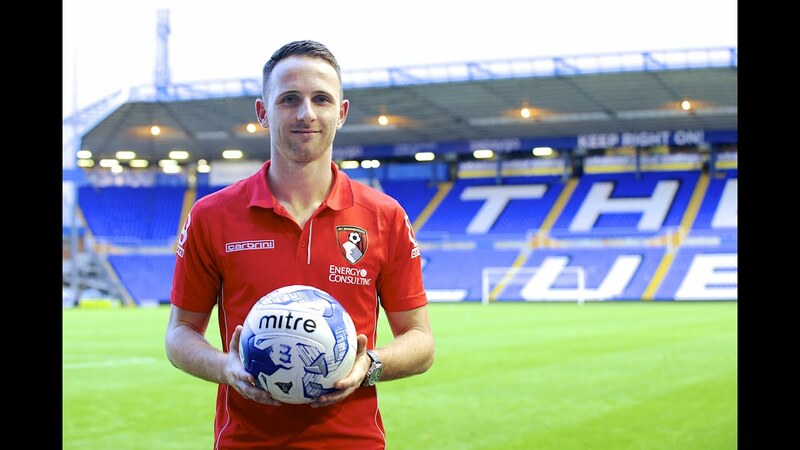 Team Jersey spoke exclusively with Premier League and AFC Bournemouth’s key player, Marc Pugh. Marc is 31-year old Attacking Midfielder who’s already impressed many managers with his brilliant skills at the wings. Marc was also rumoured to be linked Arsenal earlier this season as the Lancashire born star enjoys his seventh season as a ‘Cherry’. Since onboard in 2011, Marc Pugh has won a Championship title followed by the Premier League promotion in 2014. Ben: Marc, thanks for your time today to talk to India’s biggest, Jersey Football Magazine. Firstly you came up from Hereford United in the Southern League Premier division, the seventh-tier of English football. Most of our readers have played amateur football and dreamt of playing in a massive league like the Premiership, what was the leap from the 7th to the first tier like? What’s the feeling today to make it big? Pugh: Well it was seven years back now, but it still feels like I am living a dream every day, I was in League Two at the time we played AFC Bournemouth and I twice scored at the end of the 2010 season. I got signed by Bournemouth and I guess it was supposed to be. We have been in the Premiership for four years now and it’s amazing to be here. It sounds hackneyed but I am truly living a dream, playing at the grounds like Old Trafford and Anfield, you can test yourself against the best players in the world, it’s what I dreamt about as a kid, and to be honest, I don’t want this dream to end, Ever! Ben: I, as an individual write about the Bundesliga and I follow Borussia Dortmund in particular. The clubs in Germany pay pretty decent salaries but the Premiership is now a question that any fan would want to know as to how Premier League players manage their finances and all? For the Premier League player, buying a Ferrari or a Lambo is not a deal at all, at least for a fan’s view. How do you cope with it all, and keep under your skin? Pugh: (Laughs…) Definitely not, you know when you’ve played for years in the lower leagues as I did at Hereford United, Kidderminster and Luton Town, you know about the rigours and pressures of Lower League Football where you still have to perform but you don’t get the same money. It’s tough you know, it makes you really value the chance to earn a good salary in the Premiership. I have a family and two kids and they keep me grounded at the age of 31. I have to plan for the future, I have always thought about a life after football. It doesn’t last forever to tell you the dark truth. It’s a job for me—a job that I love but I’m equally conscious that it won’t last forever. Ben: You spoke about the rigour of playing professional football. I was trained twice a week as a junior and played on Sundays like most other amateurs. As a professional, you train 5-times a week. How do you cope with that level of intense physical pressure, especially at 31? Pugh: You are tired by the end of the season, you know. That much is sure but it’s a good kind of tired. You’re constantly working on your fitness and athletic performance, keeping fit makes you feel good. You have got to be mentally strong and focussed to be competing in this world, be it any profession. Ben: England could benefit going into the preparations for 2022 as its good to see the break on the FA’s plans. Talking about International football, today you are playing the sixth team in arguably Europe’s next strongest league, La Liga Real Betis, there is a strong turnout today and the Dean Court stadium is half filled. Are European nights like tonight as special for players as they are for fans? Which grounds in Europe did you most enjoy playing at and why? Pugh: Its special to play Real Betis but remember, we had Real Madrid here last year and doesn’t get any bigger than that! I love La Liga, I mainly watch Spanish football myself and I greatly enjoyed playing Sevilla in last years. Also, the Spanish sides have a great style of play— faster and more technical. I enjoyed a lot playing at Napoli. What a class experience we have had… Some tough tasks and I feel that these matches are a great way to prepare for the Premiership. Betis is a quality side armed with the players like Marc Bartra, Joaquin, Carvalho and Boudebouz. It’s been a great football night all round, despite the 0-2 scoreline. Ben: So you have played both of the Seville clubs— Sevilla and Betis. You would have played some outstanding players there like Jesus Navas, Roque Mesa and tonight ex-Dortmund and Barca defender, Marc Bartra, Who impressed you the most tonight on the Spanish side? Pugh: The Betis side has a great spirit and they’re a very balanced squad. As a midfielder, I had a few tangles with the Betis defender at #6, Sergio Canales and he was the top performer with great clearances and technicall competency of the game. If it was up to me, I’d have given him the Man of the Match— probably for the reason that we didn’t get anything on the scoreboard, despite a good Jermain Defoe show. Ben: Marc, You follow La Liga and play in the Premiership, is there a vast difference between a top six team in La Liga and a mid table team like Bournemouth in England? Pugh: I think you could compare Real Betis to Tottenham in England, both in terms of finish and the style of play. They both have great movement and a lot of pace beside both teams are technically better, but I would rank Spurs a bit higher also because of individual quality like Harry Kane. Betis were very good and hard to play against overall. I think it’s important for team’s like ours to play these friendly matches, but we are not yet at the standard of Betis or Tottenham here in the Premiership. Ben: Let’s ask you about the difference between La Liga and the Premier League, is there a big gulf in quality? Would you Iike to play in La Liga? Pugh: I think the Top-10 teams in La Liga are outstanding and could compete well in the Premiership. There is an intensity above all the technical ability, and that is impressive. Not only the likes of Real Madrid and Barca, but teams like Betis, Sevilla, Atletico Madrid, Atletico Bilbao have some real pace and ability to challenge these top clubs in Europe. I don’t watch any other football than La Liga and English leagues myself. I don’t know about playing in Spain but it’s the best football outside of England in my opinion. Ben: Marc, let me ask a signature question for Jersey Football Magazine readers, India’s biggest football publication. What do you know about football in India? Do you have any impression you could share with the readers? Ben: Well I hope you will get to know Jersey Magazine after today from our Interview and maybe you can learn more? Let me ask you lastly, how do you see the season ahead for Bournemouth in the Premiership? You finished 11th last season which was an impressive achievement some say you overachieved, how do you see the season working out for AFCB? Pugh: I think it’s a stronger Premiership than ever, with two big clubs coming up— Cardiff and Fulham. Both the clubs, though not known for it much but have been spending considerable on quality footballers. I think Fulham, alone have spent around £60m including Borussia Dortmund’s Andre Schurrle, your top 5-6 clubs have all invested heavily. It’s going to be very competitive and we have to be on top performance away and at home. We have to give it all we can like every year. We are at the top of our game here in the Premiership. Where would Bournemouth end this Premier League season?